English witches whose "progressive witchcraft" work has had a major influence on the Craft. 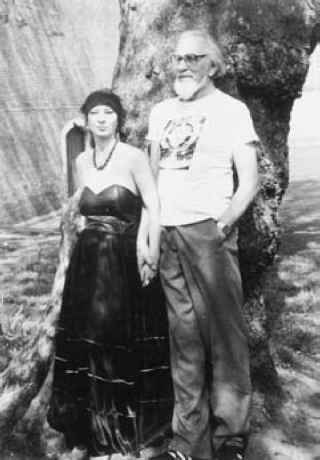 Janet and Stewart Farrar were initiated by the flamboyant Alex Sanders but were able to transcend the showmanship that surrounded Sanders and his COVEN, and went on to form their own covens in England and Ireland. Their Craft is sometimes called "reformed Alexandrian" and "post-Alexandrian," but the Farrars avoided applying a sectarian label to their work. They preferred to call themselves simply Wiccans working on the Pagan path. Pre-Wiccan backgrounds. Janet Farrar was born Janet Owen in Clapton, London, on June 24, 1950. Her father, Ronald Owen, came from an English and Welsh background; her mother, Ivy (née Craddock), was Irish. Both parents were hospital workers and followers of the Church of England. Ivy Owen died when Janet was five. Janet attended Leyton Manor School in London and Royal Wanstead High School for Girls in Sawbridgeworth, Hertfordshire. After graduation, she worked as a model and receptionist. In 1970, she was initiated into the coven of Alex and Maxine Sanders, which led to her meeting Stewart Farrar the same year. worked as a bank official, and his mother, Agnes (née Picken), a Scotswoman, worked as a schoolteacher. Stewart was raised a Christian Scientist, but at 20 he turned agnostic until he was initiated into the Craft in 1970. Stewart was educated at City of London School and University College, London, where he studied journalism. He served as president of the London University Journalism Union and as editor of London Union Magazine. He graduated in 1937. In 1939, Stewart volunteered for the army and became an instructor in gunnery, antiaircraft. He served until discharged in 1946 with the rank of major. Following military service, he worked as a civilian public relations and press officer for the Allied Control Commission for Germany until 1947. Associated British Pathe, where he worked on television documentaries and a feature film, and for the company's associate, A.B.C. Television (now known as Thames Television) where he worked on dramas. As a freelance writer, Stewart authored radio scripts for the British Broadcasting Corporation, short stories for magazines and books. His first book, a detective novel, The Snake on 99, was published in 1958. From 1969 to 1974, Stewart worked as a feature writer for the weekly Reveille, a job that led to his introduction to witchcraft. Late in 1969, Stewart was sent to a press preview of the film Legend of the Witches. Alex and Maxine Sanders, who had given technical advice for the film, were to be present, and Reveille was interested in a story. Stewart was skeptical about Witchcraft, but was impressed with Sanders upon meeting him. Sanders invited Stewart to attend a witch's initiation, which Stewart did, and found it both dignified and moving. He wrote a two-part feature for the magazine, which gained him Sanders' trust. Sanders told him the publisher of his biography, King of the Witches, was looking for an author to write another book on modern witchcraft. Stewart got the contract for What Witches Do and began attending the Sanders' training classes. At first, he was a sympathetic but skeptical outsider. What he learned, however, struck a positive, personal chord, and on February 21, 1970, Maxine Sanders initiated him into the coven, where he met Janet Owen. Wiccan and Pagan activities. On December 22, Stewart and Janet left the Sanders' coven to form their own coven in London. The Sanders separated shortly after that; the last time Stewart and Janet ever saw Alex again was in 1971. The same year, What Witches Do was published. Despite its inclusion of Sanders' fabricated stories about him-self—and Stewart's assertion that Sanders ranked above Gerald B. Gardner and alongside Aleister Crowley and Eliphas Levi in terms of magical achievement—the book helped to establish Stewart as a major voice in the Wiccan community. Though Stewart later admitted he had been too credulous and that he no longer put Sanders on the same or better footing with Crowley, Levi and Gardner, he refused to disparage "the enfant terrible of British witchcraft." Sanders, he said, made a significant contribution to the Craft. From 1970 to 1976, Stewart and Janet developed their coven. On January 31, 1974, they were handfasted. They were legally married in a civil ceremony on July 19, 1975, with Stewart's two sons and two daughters from a previous marriage in attendance. In 1974, Stewart left Reveille to work full time as a freelance writer. In 1976, the Farrars turned their coven over to Susan and David Buckingham and moved to Ireland, where they built up a new coven. Other Irish covens eventually hived off of it. About 75 percent of all Wiccans in Ireland have their origins with the Farrars or one of their initiates. What Witches Do brought an unending stream of mail from people seeking help in joining the Craft. After nine years of running a coven and being sought out for advice, the Farrars jointly authored two books of ritual and nonritual material, Eight Sabbats for Witches (1981) and The Witches' Way (1984). The books were combined and published in the United States as A Witches Bible Compleat (1984). The books included rituals created by the Farrars, plus a wealth of material relating to the religion of the Craft. The Witches' Way provides the first thorough reconstruction of the evolution of the Gardnerian BooK oF sHADows, as developed by Gardner and DoREEN VALIENTE and includes contributions from Valiente. 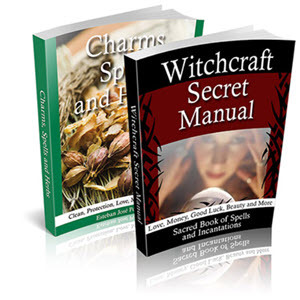 For years, the Farrars continued as leaders in dispelling myths and misconceptions about Wicca and in making it more available to the public. They stressed that their books were to be taken as guidelines for coven working and were not to be taken as traditional. Until 1989, the Farrars' experiences with the broader Pagan movement were within the European theater. In 1991, they did their first tour in the United States, where they discovered progressive change and growth within the Pagan community. Stewart envisioned the emergence of a diverse "Pagan Global Village," with Wicca being but one path in it. The Farrars make frequent lecture tours to the States, as well as in Europe. In 1998 they became ministers with the United States-based Aquarian TABERNACLE Church and were given the charter for the ATC in Ireland. Their work has evolved along with Wicca and Paganism, reflecting less Kabbalistic ceremonial magic and more shamanic elements, the latter of which the Farrars view as part of the core of traditional Witchcraft. 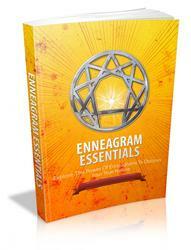 They advocated a progressive practice of the Craft, fluid and changing in accordance to need. In 1989, the Farrars met GAVIN BoNE, and in 1993 added him as a permanent member of their polyamorous family. Bone assumed the roles of webmaster and general business manager. Their Web site led to the formation of the Pagan Information Network, now operated under the aegis of the Aquarian Tabernacle Church. In 1995, Stewart suffered a stroke, and Bone helped to nurse him back to health. Stewart suffered a heart attack on February 7, 2000, and died in his sleep at home in Kells, County Meath, Ireland. He was cremated, and his ashes were scattered at a undisclosed megalithic site close to his home at the summer solstice. Janet and Bone were married on May 5, 2001. They continue their collaboration in writing and educational activities for the Craft. Awards: The Presentation Shield from the Witches League of Public Awareness in 1991 for their educational books and the Gerald B. Gardner Lifetime Achievement Award (with Gavin Bone) in 2003.